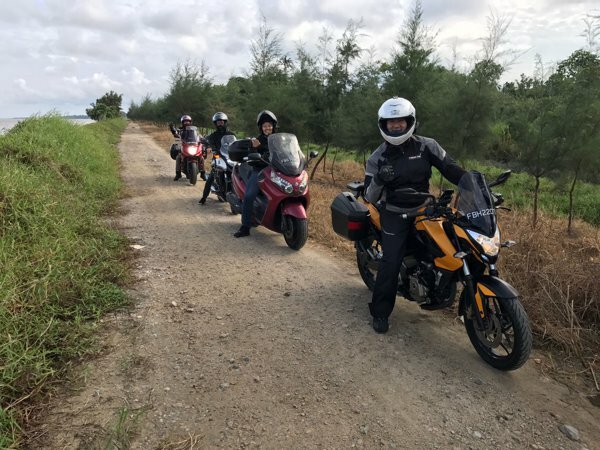 For this Sunday Morning Ride, we returned to Pontian and re-attempted the off-road section. This time, we came prepared. Siu Hon and I brought along our tire inflators, and we were prepared to let out some air in our tires before taking on the off-road section. I also wanted to get some (easy) off-road experience with my Pulsar and her newly overhauled engine. 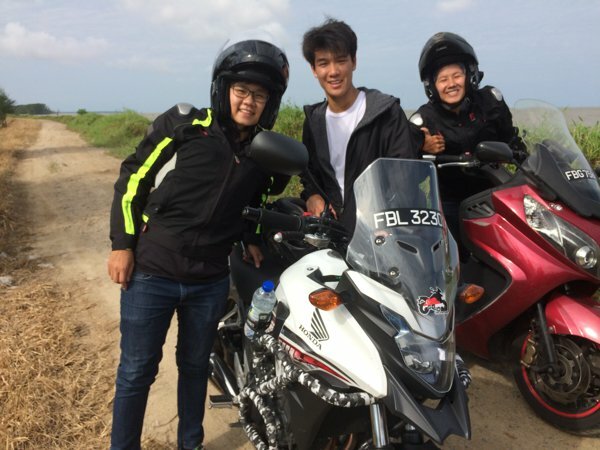 And for this time around, I wanted to try riding like a real off-roader – standing on the bike. The Pulsar, the MaxSym 400, the 400x (with pillion), and the XJ6 Diversion attempting the off-road. …until we came to a locked gate. I guess that’s the land owner’s subtle way of telling us DO NOT ENTER. And so we had to turn around. 211kg of mass (excluding rider) doing a gravel u-turn could certainly use some extra hands. 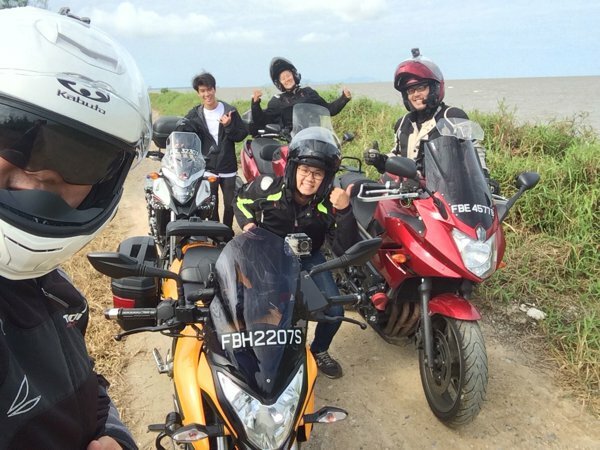 The garang bunch – 400X with a PILLION, and a MaxSym SCOOTER attempting the off-road! Happy faces – we all made it out without any bike dropping! Off-roading on a street bike with street tires is certainly thrilling. And the lightly deflated tires helped TREMENDOUSLY in terms of keeping the bike planted to the ground. I recall it feeling alot more skiddish and unnerving when I attempted it last month with the tires at street recommended pressures. 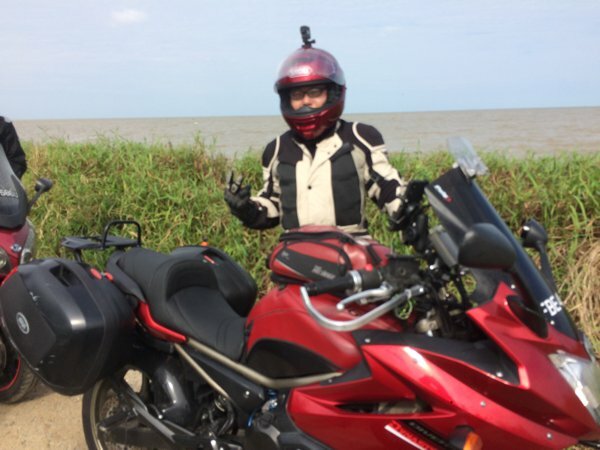 Note to self – tire pressure make a world of difference when riding off-road! Yet another awesome Sunday Morning Ride!